Analog Audio Labs have started its operation in Singapore a decade ago and it has been well liked and apprecited by Singaporeans. With the energy and exprerience gained during this period we are now launching our services here in India. We have been dealing with the brand DARED for past 10 years and impressed by the quality and reliability of these products. Now we are happy to bring this brand to our homeland with confidence. We are appointed as the sole distributor of the DARED brand in India. Our operations began in humble way from Cochin, Kerala and planning for systematic expansion through out the country. 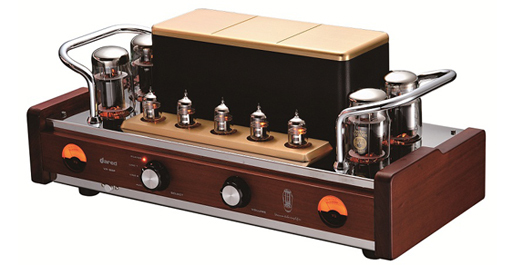 Analog Audio Labs has launched its operation in India with a handful of models from its world class vacuum tube amplifiers! Audiophiles in this country can audition and purchase these amplifiers locally. With our expertise and professionalism in this field, you can expect world class products and services from us. With an exclusive license from our overseas partner, we are manufacturing a few models of these wonderful amplifiers in India and also distributors for DARED brand tube amplifiers - which is already a well known brand among audiophiles across the globe. Our 'Made in India' brand will carry a brand name 'Analog Audio Labs' and will be out with a special price tag. We are also marketing a few hand picked models of Speakers and CD Players from some of the respected brands from various parts of the world. What does it means to you as a hifi enthusiast - you can buy a complete package from us. We do provide consultancy and installation services upon special request in order to complete your journey for a 'hifi nirvana'. Our recommendations are always available at a phone call, when you are confused on what to buy and how to match the audio components. Analog Audio Labs aspire to be the best in the industry and committed to deliver the best to our customers, so don't hesitate to contact us and we would be happy to serve you. Analog Audio Labs India is launched! We are also marketing a few hand picked models of Speakers and CD Players and cables from some of the respected brands from various parts of the world. What does it means to you as a hifi enthusiast - you can buy a complete package from us.